According to the Merriam Webster Dictionary, culture consists of the beliefs, customs, arts, etc., of a particular society, group, place, or time. According to Dr. Jimmy Jones, it is learned behavior that is passed down from generation to generation in a society. Therefore it excludes those matters that are genetically or biologically inherited—things that are completely out of human control. Culture is the identity, the signature of a particular society. According to that definition then, Islam also has a culture in and of itself which is absorbed and beautified by Muslims all around the world. 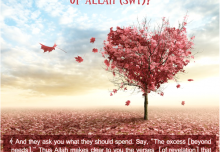 In the above verses, Allah does not address the Muslims or the Arabs. He addresses all of mankind with all its different cultures. Therefore it is to be expected that Islam can be easily embraced and integrated into all the different cultures that exist in this world. That is what has in fact happened. Islam accepts all cultures around the world as long as they do not contradict its core principles. Thus in one corner of the world Malay Muslims can be seen wearing dresses and eating dishes that are very different from those of Muslims living in England. This goes with the basic principle in Islam that everything is halal unless clearly stated otherwise in the textual proofs. In this verse Allah did not specify the exact amount of maintenance. In this case the amount is determined by the custom of the particular area and the culture of the spouses. Islam does not support any cultural customs or ideas that contradict its own ideals and methodology. As one example, in Indian culture there is the practice of expensive weddings with free-mixing between relatives and friends, with dancing and music. This is totally contradictory to Islamic teachings. First of all, Islam discourages extravagance of all kinds and falling into debt, but for organizing this kind of wedding ceremony, the bridegroom and the bride’s father usually falls under a lot of debt and there is so much money wasted that could be fruitfully used by the new couple to support the costs and maintenance of their new home and new life together. Also forbidden in Islam is free-mixing between non-mahram males and females, as well as singing and dancing together. Accepting cultural ideals which contradict Islam is just like the attitude of the disbelievers mentioned in the Quran who rejected Islam based on the fact that they preferred what their forefathers did before them. 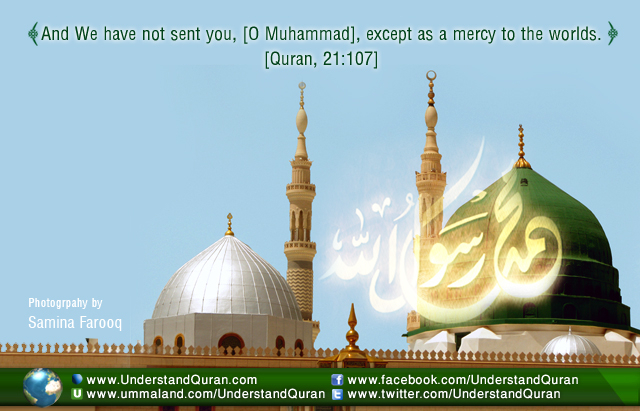 Allah’s mercy is that custom is learned behavior, as discussed above. Therefore it is possible for it to be unlearned. Allah does not punish us for things which are beyond our control, for example our genetic make-up. But He does take into account the things which are changeable. Therefore it is upon us to look at our individual cultures and customs critically, take whatever is good from it and leave those things which contradict with our primary culture– Islam. And the Answer is . . . Al-Kareem! And the Answer is . . . Al-Mubeen!